Alien flavours dominate the backdrop to this track, a swirling of lost-in-space radio signals that chirp and click and pulse like inhuman vocal chords expressing an inhuman language, fluttering with abrasive tiny ping-pong balls clattering energy, a rapid helicopter chop of grinding synthetics – like the atmospherics of space disaster-themed videogame music – and at the beginning a low voice introduces the track with unintelligible guttural digitised sounds. 'Ink & Glue' by Italian duo Erstav shows off the respective interests of the musicmakers behind the name: Marco's "careful balance between minimalism and musicality" mixed with Alessandro's "industrial and punk background," influenced by "the d.i.y. ethos of punk and power-electronics." The sound-design-esque immersive ambience of that constant extragalactic sound in the track certainly owes itself to the brooding nature of these two producers' tastes. But if it is that fractional communication, or the buzzing of pipes and machinery and interstellar background chatter, which provides the atmosphere, it is in the beats of this track where we find immediacy. The here-and-now of 'Ink & Glue' is in its hard percussive punctuation throughout, in the broken beat nature of the hits that tumble in swinging, holding onto the dark air that comes before and piledriving that which stumbles afterward, a rabble of overdriven kicks and burnished metallic hi-hats sheafing and shuffling throughout with satisfying syncopation, switching after 0:53 with more rapidity rolling and raining down, the industrial influences clear, the hard spartan essence of these pugilistic drums reflecting the large mechanical megaliths that float through the galaxy in a distant future of unidentified radiowaves and deepspace mystery. 🔔 You can download 'Ink & Glue' above. 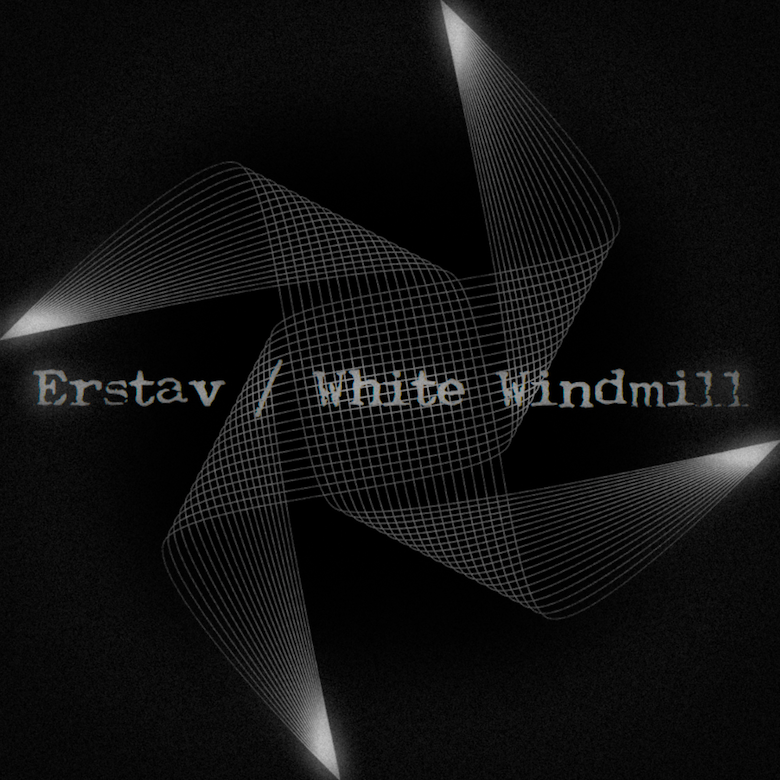 It is taken from Erstav's White Windmill EP, which can also be downloaded for free via the duo's SoundCloud. 🔔 Their debut album Cold Europe is available to purchase on Bandcamp courtesy of San Francisco label Muti Music.